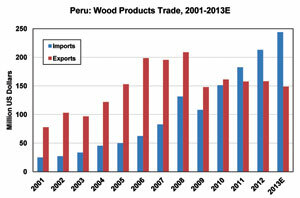 Latin American Plantation Forests: Outlook for Timber Supply and Markets - Fastmarkets RISI - Objective Insight. Better Decisions. 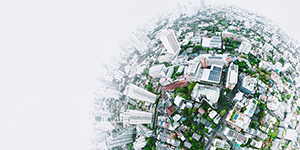 With most of the timberland in Australia and New Zealand already owned by foreign investors, Latin America is clearly the next major region that investors will target. 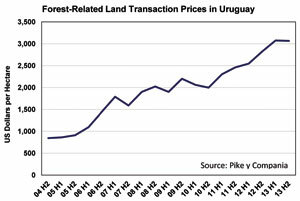 Brazil and Uruguay have attracted 70-75% of all the investment in Latin America by foreign institutional investors. 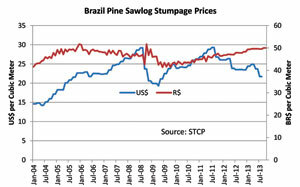 However, rapidly escalating land prices in both countries have given investors the incentive to broaden their exploration of timberland investment opportunities to other countries in the region. 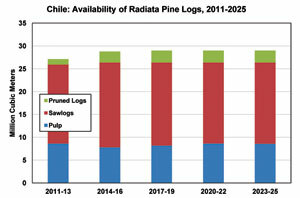 Latin American Plantation Forests: Outlook for Timber Supply and Markets provides a comprehensive analysis of current raw material supply being grown on plantations and identifies which countries will be likely to attract the best prospects for future investments. 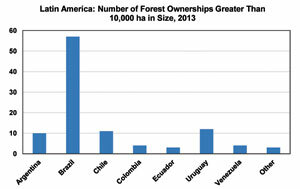 This study includes data for nearly 300 plantation forest ownerships by company, in 21 countries. 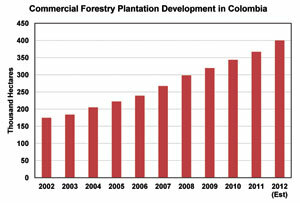 The study provides details on the plantation forest resources and harvest by species and country.